CSPA is looking for an emerging leader to guide the construction and implementation of our assessments. As an assessment service, CSPA's reputation is built on designing a fair, useful, valid, and reliable exam. As the Director of Assessment, your role is critical in maintaining this reputation. You have two or more years of experience in education research, understanding how to best design exam questions. You have strong quantitative analysis abilities and can crunch numbers to derive actionable insights. The ideal candidate also has familiarity with technical exam content. Your mission is to deliver the highest quality and most innovative software engineering assessments on the market. You will form and lead an advisory team of research scientists, and work closely with software engineers to build new psychometric processes. We are a seed stage startup and have a small team. The environment is casual and informal, but we work hard and effectively. Our office is in Bespoke Coworking in San Francisco, so you get to meet lots of other startups in the space. We recently finished Y Combinator (S18) and are backed by top angels and seed VC firms. What makes this role different? You will have unparalleled influence on the direction of the company. You'll be the first team member with expertise in assessment and evaluation, and we will look to you for guidance in these areas. In addition to being the core subject matter expert, you'll participate in discussions around tech, product, marketing, and more (if you want). CSPA is a mission-driven organization dedicated to the accurate and complete assessment of software engineers. 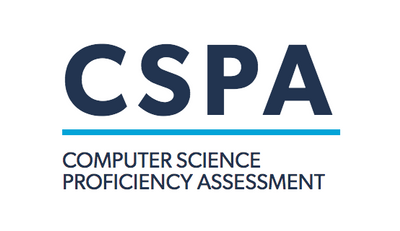 CSPA designs and administers the Computer Science Proficiency Assessment, a standardized exam for software engineers and job seekers in the software industry. Subscribe with your email below to receive news updates and exam announcements. The CSPA organization is a mission-driven organization dedicated to the accurate and complete assessment of software engineers. © CSPA 2018. All Rights Reserved.